Penang Hill is one of the must see attraction in Penang Island. it was the first hill resort of its kind in Malaysia, and since its opening in 1923, the funicular railway has provided a convenient way to reach the top. After the major renovation and the new funicular, it draws almost 2000 visitors per day. 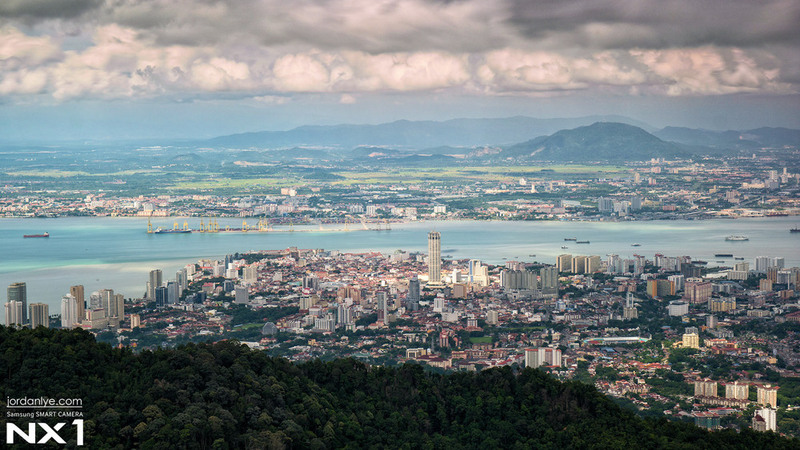 What I love about this place is because it faces the most beautiful cityscape in Penang Island and more over it give you difference kind of scene at different time. Penang Hill is just 5 minutes away from where I live, this is why I can make as many trip as I wanted. I can plan my trip in the very last minutes and my outing is all depends on the weather. You can see my Penang hill collection HERE. In this Samsung imagelogger assignment, what i plan is to record the different moment but with the same scene on top of Penang Hill. From dawn to dusk, rain or shine. The shooting with this Samsung NX1 is straight forward, What i need is just a tripod and cable release. My favorite time to visit the hill is at 6:30am the very first train from the station. The weather up there is chilling and very quiet in the morning and I always enjoy being alone up there. I hope you like some collection of my photos in Penang Hill, there is no lucky moment to get a good shot from Penang Hill. luck is where preparation and opportunity meet. You just have to put in more effort by keep visiting in different kind of weather and time and the mother nature will surprise you. All photos, above, have been shot with the Samsung NX1, which has been provided by Samsung Electronics. Co., Ltd.